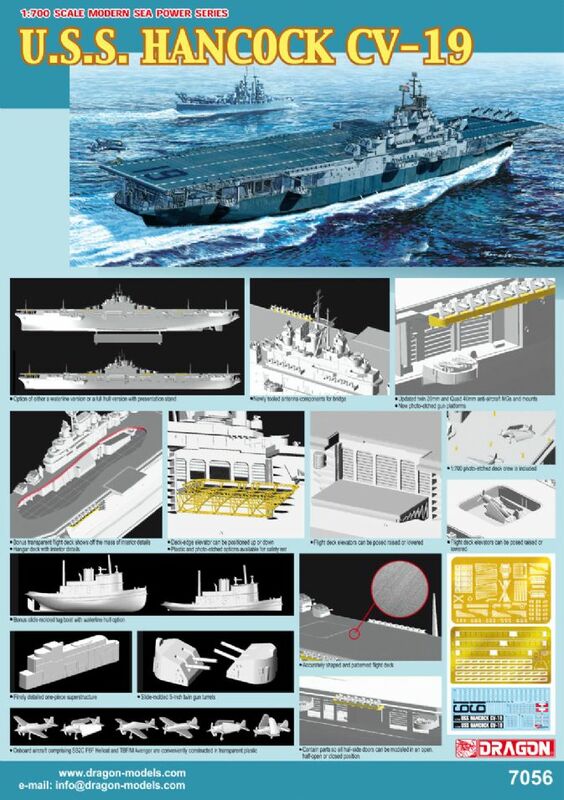 This famous aircraft carrier is the subject of a new 1/700 scale kit from Dragon. There are various options with the model, including the choice of a waterline or full hull. Add to that the novel inclusion of an optional transparent flight deck, which allows interior details to be seen if so desired by the modeler. Featuring intricate injection molded parts, complemented by clever use of photo-etched metal parts, this is the kit to own.